Btw. 32 ounces ink + 8 ounces 100-proof alcohol is 20%, not 10%. 100-proof vodka is 50% water and 50% alcohol, so it actually is 10% alcohol according to the formula in the recipe above. If it'd really been 20%, there would have been terrible feathering with the ink. Edited by fiberdrunk, 28 September 2013 - 03:22. One of the unpleasant realities of making black walnut ink is that the husks are full of the black walnut maggot, a host-specific kind of maggot (and not your average compost maggot, though they are still gross and obviously I don't want them in my ink). 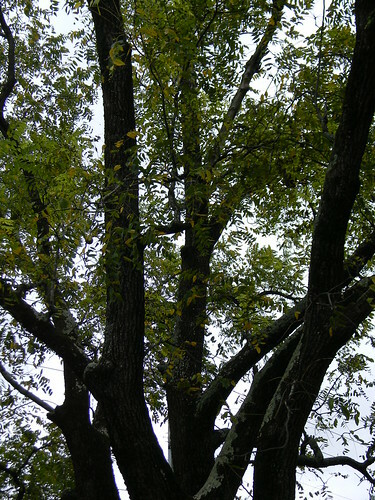 They have a symbiotic relationship with the black walnut tree. 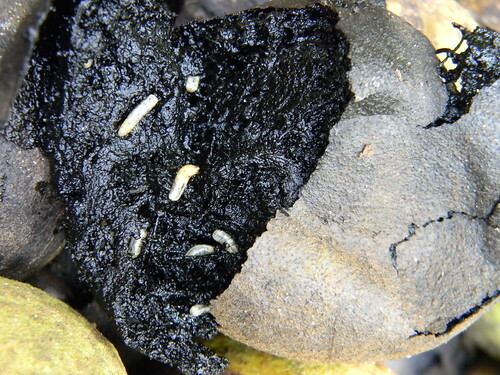 The husk provides them with food, while at the same time the maggots help to break down the protective husk so that eventually the seed can sprout. Black walnuts have Ft. Knox style security, by way of the very hard inner shell and tough outer husk, so I can see how they are necessary in the big scheme of things. But it doesn't help the inkmaker at all. It's quite tedious brushing them all out of the husks, in fact. Anyway, I enlisted the help of my chickens to eat the maggots, which they were delighted to do. Here's a little video glimpse of what it takes to make this ink. It is rather labor intensive (especially when you start with 15 gallons of black walnuts!) It's probably why I don't sell ink. It's just so labor-intensive that I can't put a price tag on all the work! 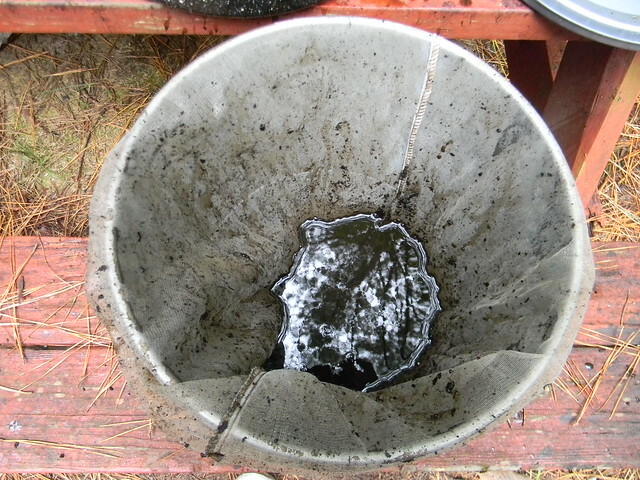 (To give you an idea, it took me 8 hours to de-husk and de-maggot all 15 gallons, and that doesn't even include all the cooking and straining time. That's another several hours of cooking, spread out over a couple days per batch.) What we won't do for our art! You can see the little video here on Flickr (I can't figure out how to upload it here). Thanks, so I learned a new English word. Thank you for that video. It brings back fond memories of the hens I raised as a kid. By the way, your daughter (I assume) seems very sweet. "What? What's that? WHAT?!!! SPEAK UP, I CAN'T HEAR YOU!!" - Ludwig van Beethoven. I just finished a new batch of cooked-down black walnut ink. This time, I added gum arabic to the ink, which I've never done before. I wanted to see if it would help hold the pigment in suspension so that there isn't that thick sludge that settles at the bottom of the bottle over time. It's too soon to tell if it will; however, I've noticed that adding gum arabic destroys most of the natural water resistance of black walnut ink. I don't think I'll be using it again for that reason. As flow goes, it's unnecessary anyway. The ink does fine without it. Do you think the husks from Horse Chestnuts would work? Well, I guess I should try, but have you heard anything about them? I don't add the gum arabic during the cooking stage. I added it at the end, before bottling. 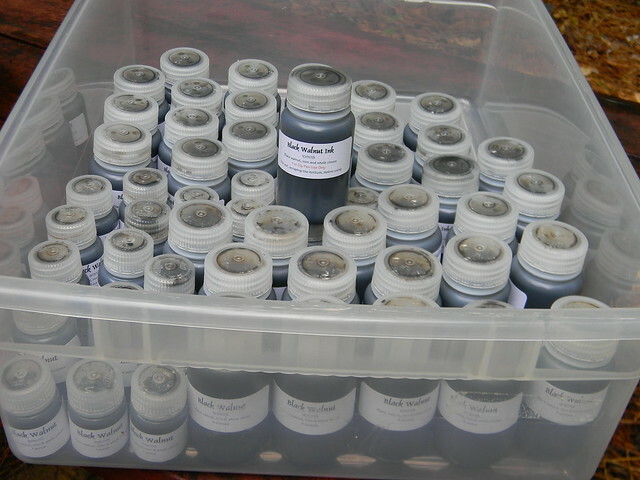 I have kept the batch of ink with the gum arabic. I wanted to see if the gum arabic would keep everything in suspension over time at least and prevent it from dropping sediment (so far so good). 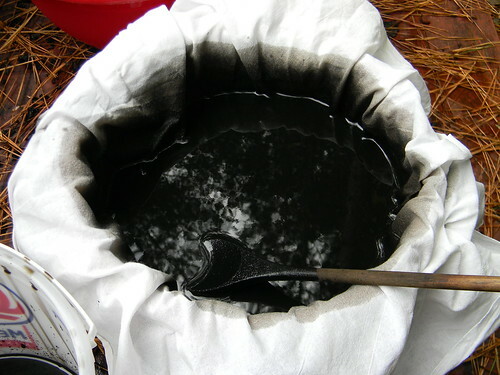 Paddler mentioned the same observation, that the gum arabic seems to destroy the water resistence (he didn't cook his ink... he used a food dehydrator to evaporate it down to strength. Read his thread at the link provided). By the way, I don't continually boil the black walnut extract... I bring it to a boil initially to kill the ink beasties, then drop it to below a simmer, so that it only steams off the surface (without any bubbles in the pot). There are natural sugars in the extract and they will scorch if you try to cook them at higher temps. I get a very saturated black walnut ink... ask MusinkMan what he thinks of it... he's done some amazing Spencerian with my ink, and his didn't have the gum arabic (unless he added some, himself). I have done a cold-process variation (see the end of post #1 in this thread; and Paddler's is a cold-process one, too). I let the extract soak and evaporate down for months. It does work, though you end up with a much less saturated ink (good for some fountain pens, though-- the cooked kind is for dip pens only). I find gum arabic just isn't a necessary component for black walnut ink, and since it spoils its water resistence, that's a deal-breaker for me, personally. But I know others do use it. Paddler talks about his ink as being watery (as is my cold-process variation), but my cooked-down one is creamier and not as runny. MusinkMan is able to get both very fine hairlines and shading with it. Edited by fiberdrunk, 14 October 2013 - 06:07. I've never tried it. I'd probably process them like this guy did his acorn ink, or cook them the same way I did this cooked-down black walnut. Last year I made the mistake of treating sawtooth oak acorns like galls and did a fermented ink. It produced a poor quality ink, though (light gray-- there was too little tannin). Next time I will cook the things down. Edited by fiberdrunk, 14 October 2013 - 00:49. Here's a YouTube video for making black walnut ink. She simmers hers at a much higher temperature than I do. Mine only steams, without bubbling. I doubt arabic is reducing the stain's water resistance. More likely it's holding dye stuff above the paper where it is available to smear, wash off, etc. The same is true for "bullet proof" and even IG inks. Any reactive material not allowed to bond to the paper can be washed off unless the ink includes a water proof binder, something typically not FP friendly. It's possible. I do use gum arabic with my iron gall inks, and those are very waterproof. That's interesting about the Higgins Eternal. I'm surprised it doesn't give good hairlines. 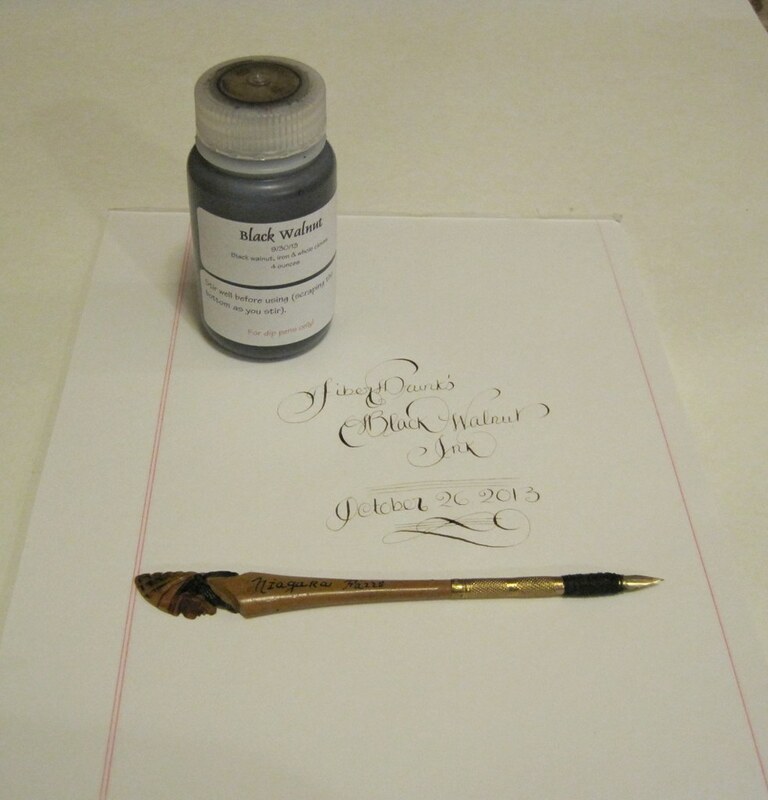 It was one of the inks recommended in Michael Sull's Spencerian book. I know the John Neal Bookseller website advises adding in a little gum arabic to it. Have you tried that? I don't do Spencerian well enough to be the judge of Higgins for that, however. I'm still a beginner. Has Higgins Eternal changed at all since Sull wrote his book (my copy is copyrighted 1989)? I suspect it was recommended largely because it was almost the only game in town back in 1989. To my taste, it's too lush and produces too broad a line for the scale at which I typically write (x = c. 1.8mm). I suppose I could thin it out and add a bit of gum arabic, but why bother when I can use McCaffery's (or Old World) right out of the bottle or Moon Palace, diluted 6 parts ink to 4 parts distilled water. After this week, I will have processed 30 gallons (dry weight) of black walnuts into ink. After doing this much ink (by far the most I've ever processed in such a short period of time), I've learned to streamline the process somewhat. I thought I'd write it out in steps, with photos. 1. 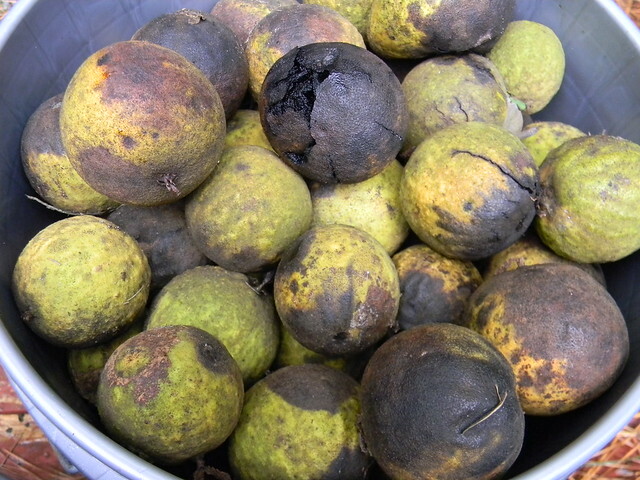 Wearing heavy-duty dishwashing gloves (like Playtex), de-husk the black walnuts. It is the fleshy outer part you want for ink, and not the hard shell or nut. 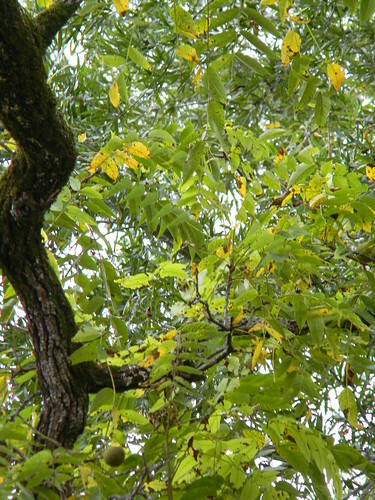 Most will have Black Walnut Maggots feeding within the husk. Brush these aside (chickens love them!) Put the husks into a non-reactive pot and cover with distilled water (I admit to using my well water, which has a bit of iron in it. I would not use chlorinated tap water.) If you need to, you can let this soak overnight or even considerably longer, until you’re ready to cook it down. 2. Bring the husks and water to a boil. Watch carefully, as this boils over very easily and makes a huge mess! Once it’s boiling, drop the heat down to just below a simmer-- with no bubbling in the pot, but with steam coming off the surface. Put a lid on. Cook it down for several hours to make an extract. Stir it from time to time. Make some writing samples. Continue to cook it down until it’s dark and doesn’t seem to darken any further. 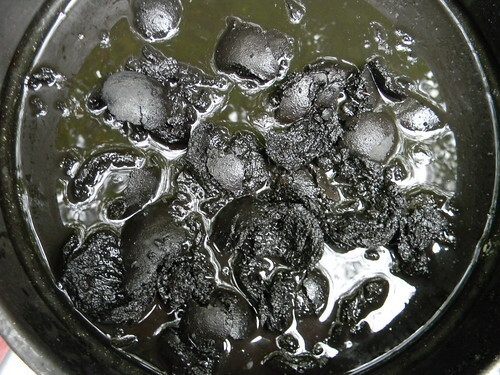 Be patient during the two cooking stages, especially if making a large quantity; don’t rush and scorch the extract. For this step, I tend to cook this from the time I wake up until I go to bed, then turn the heat off (a smaller quantity would require much less time). 3. Allow to cool, even overnight. 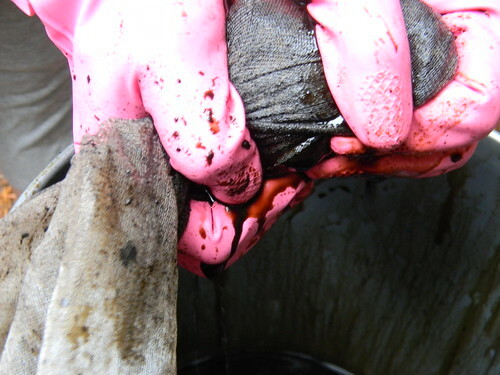 Then strain and squeeze through a nylon fine-mesh paint strainer. This is to remove the big chunks and not the smaller particles (there will be a final filtering through cloth later.) I put one or two handfuls of husks in the strainer at a time– just enough for my hands to manage to squeeze easily. Try to squeeze out as much of the liquid from the solids as possible. Discard the solids. 4. Return the liquid extract to the non-reactive pot. Carefully bring to a boil (again, watch to make sure it doesn’t boil over). 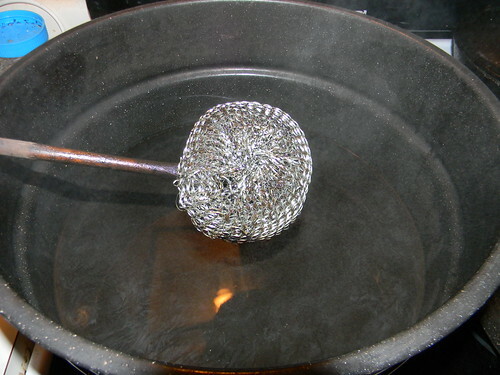 Drop the heat down to just below a simmer so that there is no bubbling, but only with steam rising off the top. Leave the lid off this time. Allow it to reduce down, stirring from time to time. This cooking stage requires less than half the amount of time than the first cooking stage. A film may appear on the surface (this is the sugars carmelizing). Just stir it back in. Make writing samples periodically (every half hour or so at first, then as it begins to darken, make a sample every 15 minutes). Don't be surprised if, at first, the ink looks paler than the writing sample was from the day before. Just keep stirring and reducing it down and it will get darker again. Keep reducing the ink down to the color strength that you like. If desired, add some clean shiny steel wool to impart some iron to help darken the ink to a blackish-brown sepia color (optional.). Keep in mind, if you will be using alcohol as a preservative later, that it will dilute the strength of the color a little, so take this into account as you judge the strength of the color. There will come a point where it just won’t darken any more, so be careful not to steam all your ink away in trying to get it darker. Stir the ink well before each time you make a writing sample– this will evenly distribute the pigment so that you will get a more accurate color sample. 5. Allow the ink to cool. Don your heavy-duty dishwashing gloves again. Strain again through cheesecloth (I like those flour sack dish towels for this), to remove any remaining particles that might have slipped through the mesh. Wring the cheesecloth to get every last drop of ink that you can. Calculate how many ounces of ink you have. Note: These cloths as well as the paint strainers can be bleached in the washing machine and used again. I use them only for ink-making. 6. If desired, add 10% alcohol by volume for a preservative (I use 100-proof vodka), stirring well. Black walnut is naturally anti-fungal, so if you ( A ) keep your bottles cool and ( B ) transfer the ink to smaller bottles as you use it up to prevent air exposure, AND ( C ) if you use whole cloves as a preservative, you can avoid mold even without using alcohol. But if you want the added protection, use the following excellent formula by Paddler to calculate how much you will need. A = alcohol proof divided by 200. This is the alcohol concentration of your booze expressed as a decimal. B = the alcohol concentration, expressed as a decimal, in your finished ink. C = the volume, in ml, of raw ink you are starting with. X = the volume, in ml, of booze you must add to the raw ink. 7. If desired, add 1 part powdered gum arabic to 30 parts ink, though it’s not necessary (it can make the ink a little less runny, but it does decrease water resistence. Don’t use it if you desire a waterproof ink). Stir well. The lumps will dissolve overnight. Stir again. Make some writing samples. 8. If your ink has been sitting for awhile prior to bottling, it can be helpful to pour the ink from one container to another beforehand a few times, to make sure the pigment is evenly distributed throughout before you bottle it. Be sure to scrape the bottom of the container, too (some of the darkest pigment tends to settle at the bottom and you want this stirred back in evenly before bottling to retain the color strength). Bottle in sterile glass or Nalgene bottles, adding several whole cloves per bottle (this is for a preservative-- cloves have phenol in them). Label with the date. Use this ink with dip pens only, preferably gold-plated or stainless steel nibs (the acidic nature of this ink will rapidly tarnish most other metals). Glass pens and feather quills are also excellent with this ink. Try it on banana paper with a glass dip pen! 9. 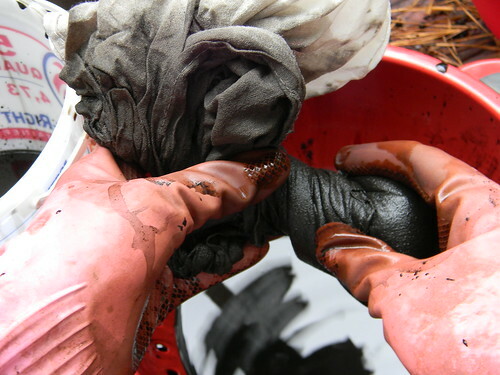 This ink tends to drop a thick pigmented sludge on the bottom of the bottle as it sits. 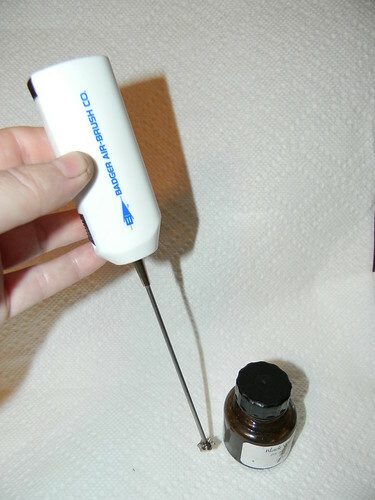 It’s too thick to shake back in, but you can stir it back in, scraping the bottom with a popsicle stick, or use a hand-held battery-powered Badger Ink Mixer (which retails for about $13 and fits inside bottles up to 4 ounces in size). If you don’t stir this pigment back in before writing, the ink will be thin. I always stir my black walnut ink before using it. Always. 10. Your ink will keep for many years, especially if you minimize oxygen inside the bottle (transfer to smaller bottles as you use it up). This ink is permanent (fadeproof), as well as waterproof (if gum arabic is not used). Water resistence increases the longer it dries on the page. 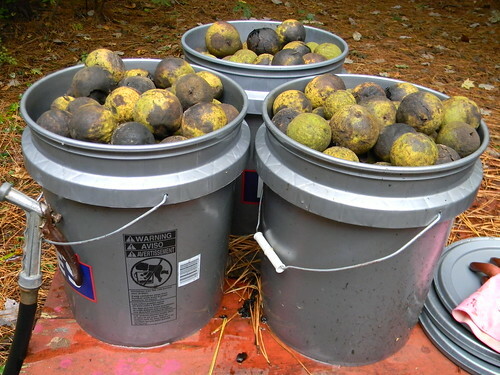 • I processed one 5-gallon paint bucket full of whole black walnuts at a time (took 2 ½ hours to de-husk each batch). 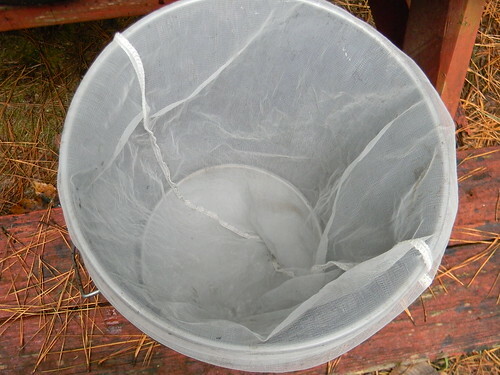 • The husks (and water to cover) filled a large canning pot to the very top. • I reduced the husks down until I had 58 ounces of extract. Edited by fiberdrunk, 17 October 2013 - 04:13. Fiberdrunk!!!! You made my day yesterday when I found your wonderful present in my mailbox!!!! Thank you, thank you, thank you!!!! This is such nice ink. I'm so glad you liked it! With your pretty penmanship, I know you'll put it to great use! I cooked up a batch of Black Walnut ink from walnuts I gathered from a town tree across from the library - I'd gather a small bag full on my trips to the library. Anyway, I cooked as suggested by fiberdrunk except not as long - my mixture was black nearly right away. I used husks that turned brown already, so maybe that was a difference. I filtred the liquid through a doubled coffee filtre paper, and the colour didn't lose any richness. Since I cannot locate my dip pen I used one of my cheaper pens (actually a Sheaffer's caligraphy pen that I used as an eyedropper), and the colour seemed splendid! There was very little sludge at the bottom. With proper filtre paper I could probably get it clear of particulate. The big drawback is that it is so dry of an ink that the pen often quits after a few seconds of not writing. So, I added a bit of liquid dish detergent - a tiny dab on a toothpick swirled in the barrel of the pen. That worked wonderfully to promote flow. I'm leaving it a few days to see what effect that has on it. Anyway, thanks for the initial recipe fiberdrunk. It's been fun brewing up the ink. Fantastic! You won't see that thick peanut butter sludge for awhile-- like when the bottle has been sitting for months or years. I see it in my 2010 batches. Those were also some of my most saturated batches, too, though. Enjoy it! Let us know how it works in the pen. i love it, in the first post it looks like you've laid down wood veneer in the shape of letters! Edited by jelly, 25 February 2014 - 23:30. I remember reading this article a while ago and wondering about your anti-ink beasties issues with the ink. I recently purchased some Scribal Workshop ink and remember reviewers mentioning it smells like oregano. I assume it's actually thyme oil used, but I hate both herbs in most of my cooking so I avoid them. I know thyme oil is big against bacteria and fungus and other such things as is oregano. Adding some drops of that might help combat any mold or such things along with the alcohol.